468/EV cells and 468/uPAR cells. 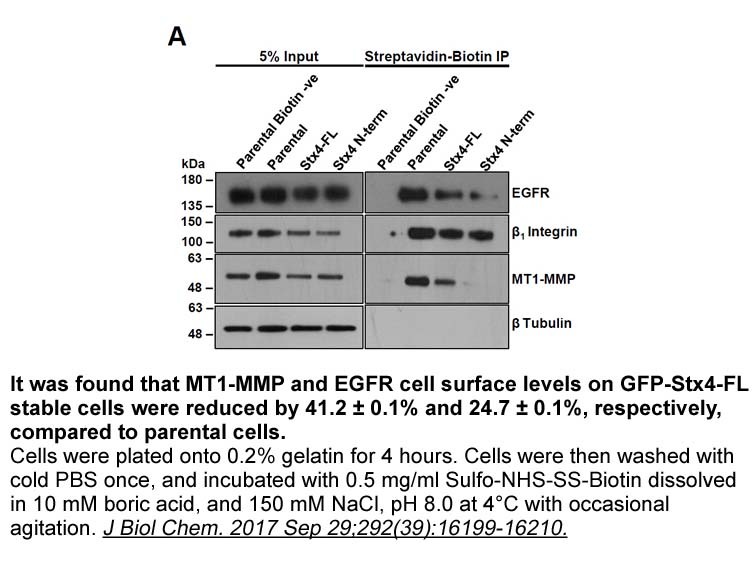 Cells in monolayer culture (1.5 × 106) were washed three times with ice-cold PBS and then treated with sulfo-NHS-SS-biotin (1mg/mL) for 15 minutes on ice. 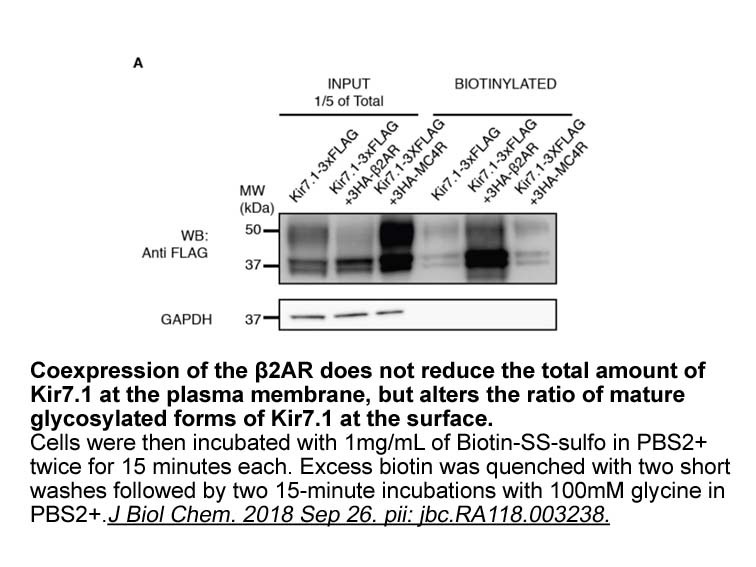 Biotinylation reactions were terminated with 100 mmol/L glycine in PBS. After washing with PBS, cell extracts were prepared in radioimmunoprecipitation assay (RIPA) buffer (20 mmol/L sodium phosphate, 150 mmol/L NaCl (pH 7.4), 1% NP40, 0.1% SDS, and 0.5% deoxycholic acid) with protease inhibitor cocktail. 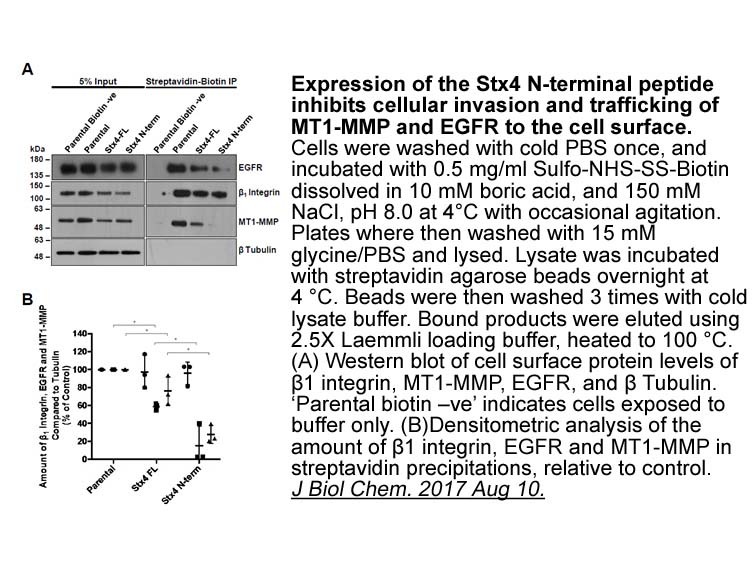 Biotinylated membrane proteins were precipitated with streptavidin-sepharose. 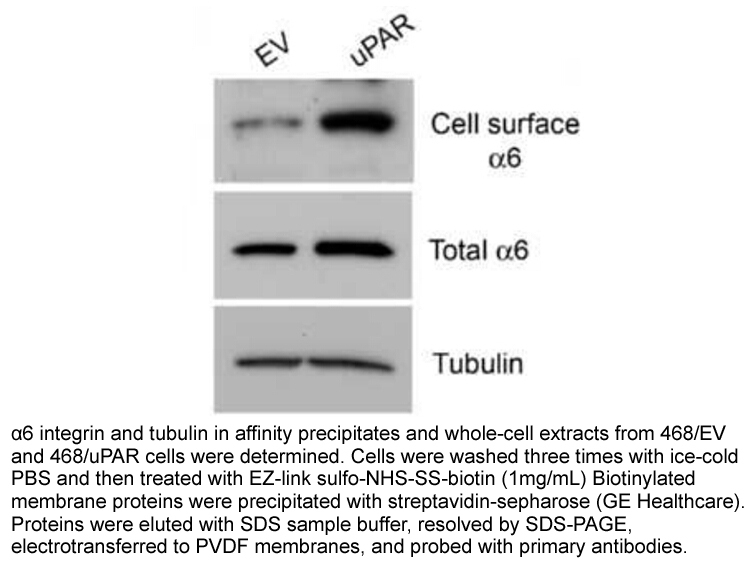 Proteins were eluted with SDS sample buffer, resolved by SDS-PAGE, electrotransferred to polyvinylidene difluoride (PVDF) membranes, and probed with primary antibodies. Sulfo-NHS-SS-biotin(sulfosuccinimidyl-20(biotinamido)ethyl-1,3-dithiopropionate) is a long-chain cleavable amine-reactive biotinylation reagent. The presence of the negatively charged sulfonate group in the chemical structure of sulfo-NHS-SS-biotin makes it a water-soluble biotinylation reagent that can be directly added to aqueous reactions without prior dissolution of organic solvents. Although no prior dissolution is required, an aqueous stock solution of sulfo-NHS-SS-biotin must be prepared rapidly and used immediately in case of the occurrence of hydrolysis of the active ester. 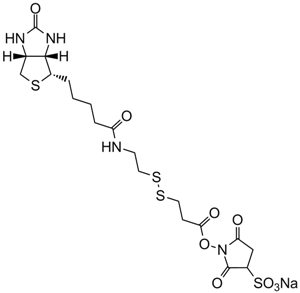 Sulfo-NHS-SS-biotin has been used to react with amine-containing proteins and other molecules forming a complex which further interacts with avidin or streptavidin probes and to purify targeted molecules using affinity chromatography on a column of immobilized avidin or streptavidin.